Paradise Factory, an agency that organizes music events presents party ¡°El Sol de Noche¡± at About Caf¨¦, and a week later at Love Ball, both in Naha City. The party is based on the concept that wide variety of people from different generations can enjoy the same music. The main guest DJ will be DJ TAKA who plays regularly for ¡°Soul Power¡± at Club Maniac Love in Tokyo. This is where the name of this party comes from. The party will take place twice, on May 12 at About Caf¨¦, and May 19 at Disco Love Ball. Both days are Saturdays. An African djembe performance and a dance unit ¡°Soul Camp¡± will be featured at the main event on the 19th. 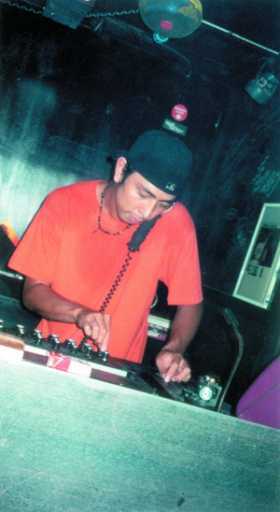 DJ Taka ¨C Regular DJ for Soul Power at Maniac Love, Hi-Life at Yellow and at Club Hachi. He is a House DJ but his style is not limited by this genre.